When I was working on my Sew for Victory jacket, I was quite tickled with how my lined patch pockets turned out, and I’ve used more-or-less the same technique ever since. 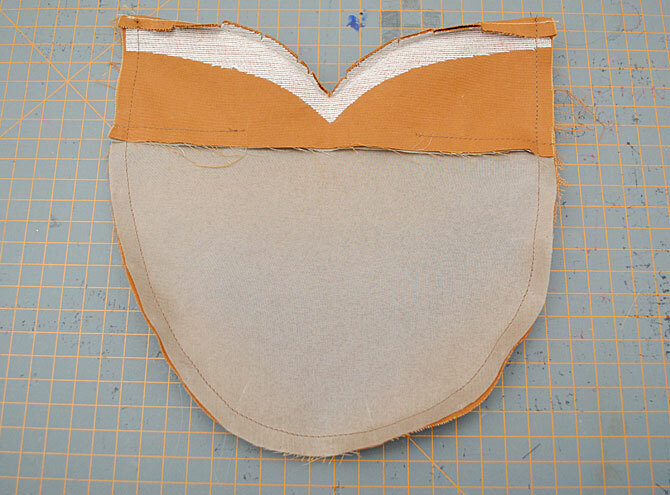 It’s based on tailoring methods for patch pockets. I can’t claim credit for inventing these steps by any means, but like anything, I tweaked the process until I had a series of steps I really liked, so I wanted to share how I do it! I love this method for so many reasons! There’s no hint of lining poking out at the side of the pockets, it has a nice professional-looking finish on the inside, and the curves just come out nicer than some other methods I’ve tried that involve lining. Winner in my book! Patch pockets are awesome. 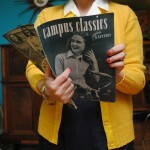 Cute, casual, fun on retro dresses, skirts and aprons, and super practical. 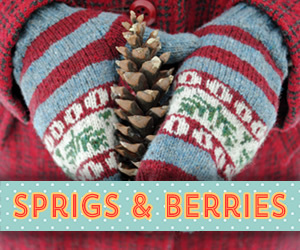 You can make them in contrasting fabric, adorn them with embroidery, rick rack or more. 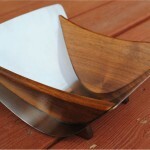 They can be classy or kitschy, whatever your little heart desires! When I’m home it’s often where I keep my cell phone and sometimes a measuring tape or keys, and when I’m wearing something without them, I curse and wish I had them. 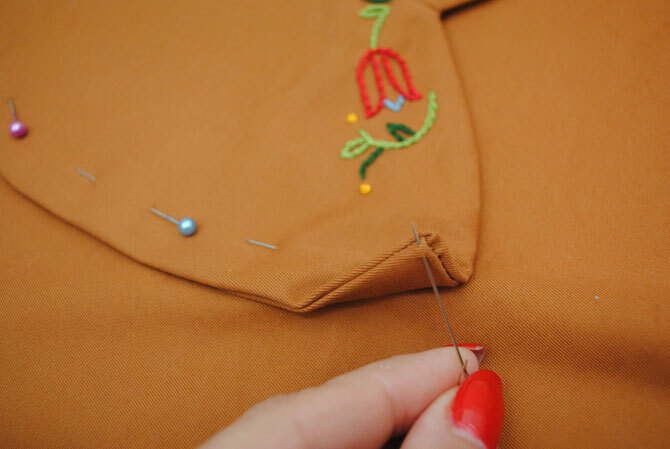 The tutorial I’m sharing today results in a really nicely-finished pocket with a few little touches pulled in from tailoring. 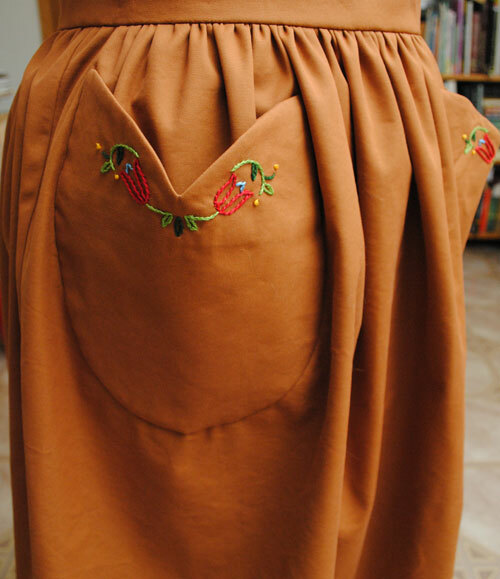 It has a self-fabric facing at the top part of the pocket inside, so you peek in and see the same fabric (especially handy if you’re adding them to a gathered skirt, as they stick out open a bit! 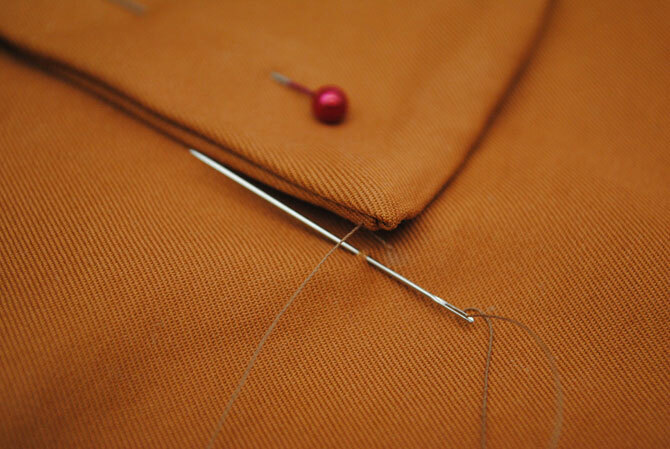 ), and then lining fabric to cut down bulk for the rest of the pocket. It’s all created in a way that makes sure the lining doesn’t peek out on the right side. 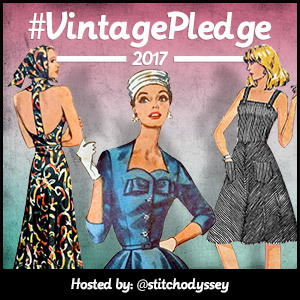 Finally, while you can topstich the pocket in place, I’m going to show you how to invisibly slip stitch it onto your garment. So let’s get to it! 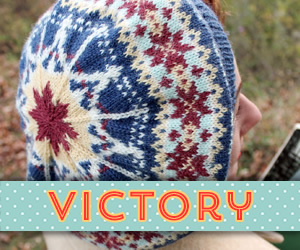 First off, you can either use pocket pattern pieces from your pattern of choice or create one yourself! Inspired by a few 1940s and 50s patterns (most recently this New Look sundress pattern), I went with tulip-shaped pockets and drafted the shape freehand, tracing it onto tissue paper. I used the children’s method of drawing a heart: I folded the piece of paper in half so each side was the same. 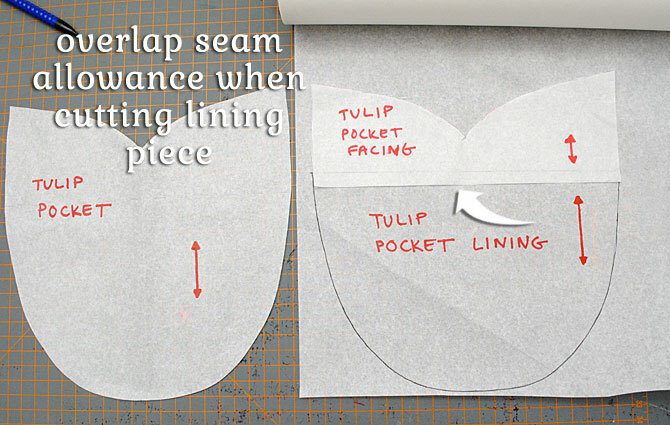 If you create your own pattern, just keep in mind your seam allowance so you don’t accidentally make it too small. 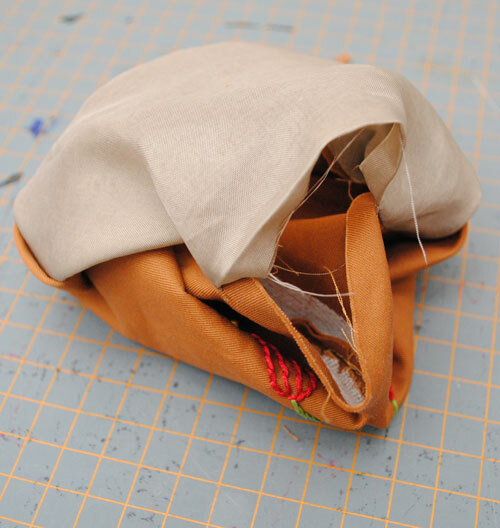 I used 1/4″ as my seam allowance. And for reference, the width of my pocket piece was about 8″ and the height about 8 1/2″. 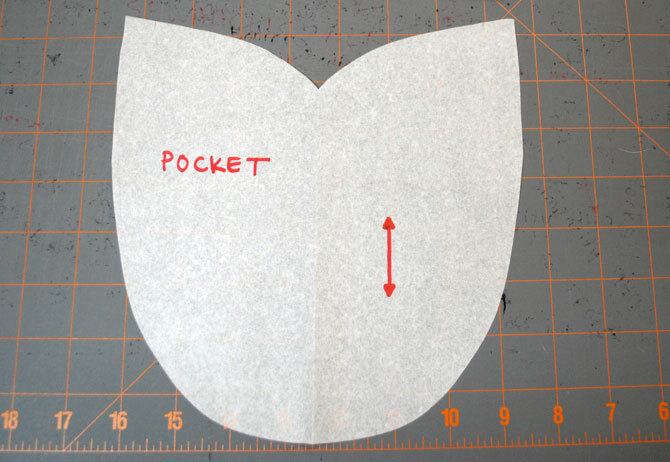 Once you have your pattern piece cut out, create a piece for your facing, which will be at the top of the inside of your pocket. I just created it by tracing from my pocket piece. 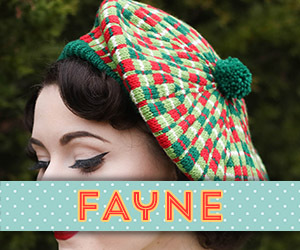 The facing can be as deep as you’d like, but at least 1 – 2″ or so (not including seam allowances) is a good starting point. If your pocket is shaped with a big curve or two like mine, make sure that length extends below the lowest point of the curve like I did. 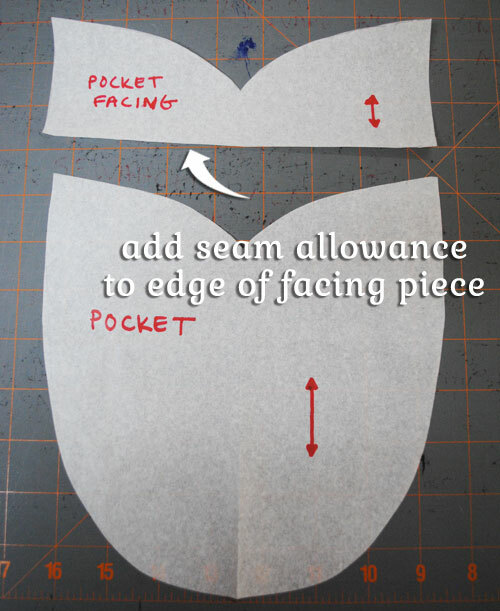 Don’t forget to add your seam allowance at the bottom. 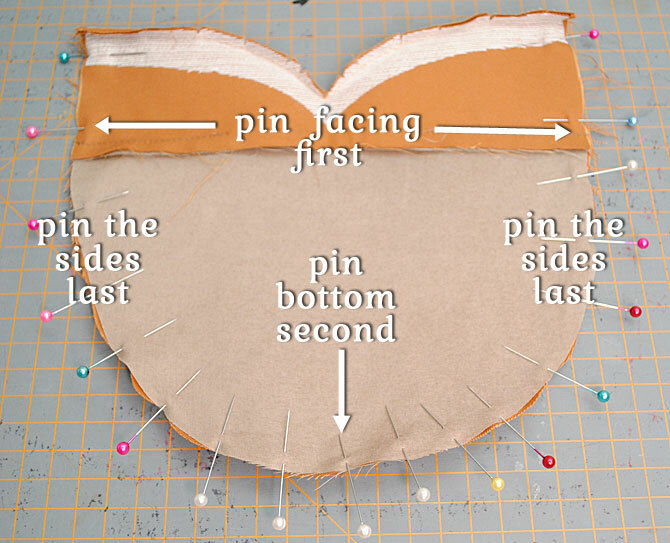 This is where you’ll sew the facing to the lining. Time for your lining piece. The lining piece will be the size of your pocket less the size of the facing piece, plus a seam allowance. Make sense? 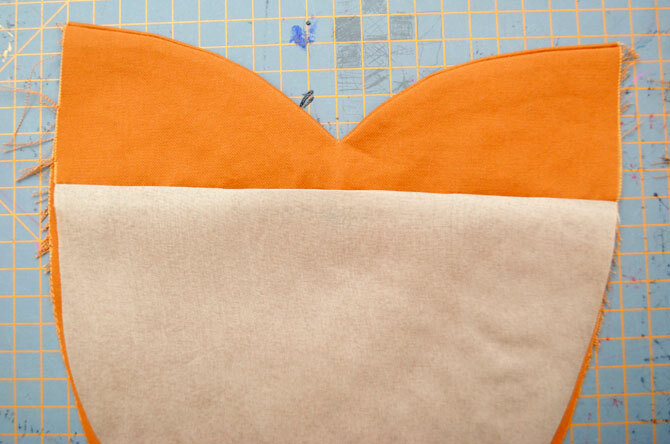 Both the facing and the lining have a seam allowance since you sew them to each other. But wait, here’s the most important part! 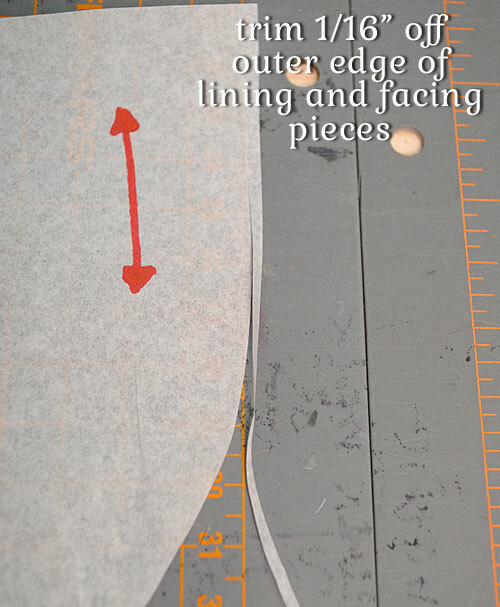 You can do this when you cut your facing and lining piece or after, but don’t forget: trim about 1/16″ off the outer edges of your lining and facing pieces. They should be just slightly smaller than your main pocket piece. 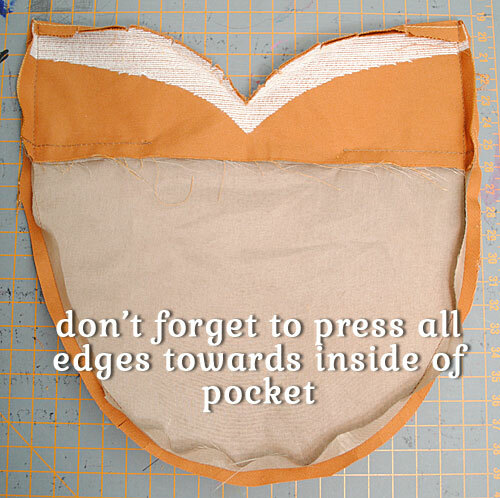 This means you’ll have to slightly stretch your facing and your lining pieces when sewing to the main pocket piece, but it’s the secret to the no-show lining and clean finish on the edges of your pocket. I promise! Now you can cut out your pieces. 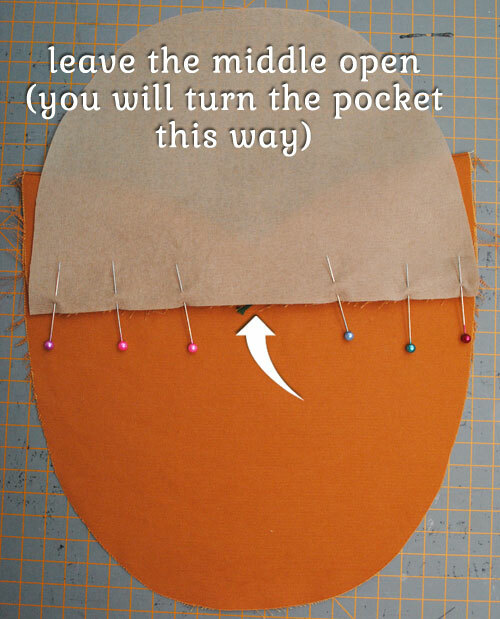 Cut your facing and main pocket pieces from your fashion fabric, and cut your lining piece from your lining fabric. 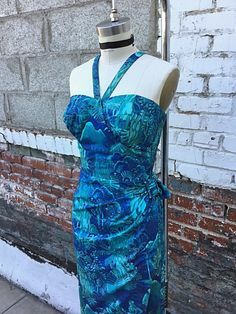 A tip I learned from Liz and have since seen Sarai from Colette Patterns recommend when using silk: if you choose a slippery lining fabric like I did, use a fabric stabilizing spray to tame that bad boy. Trust me (and them), it’s genius. Genius! Almost assembly time. First though, I added about 1″ of fusible weft interfacing to the upper edges of my facing piece to help the pocket not stretch out over time. I caught it in the seam allowance, but if you have heavier fabric and are using fusible, you may want to trim it clear of that. 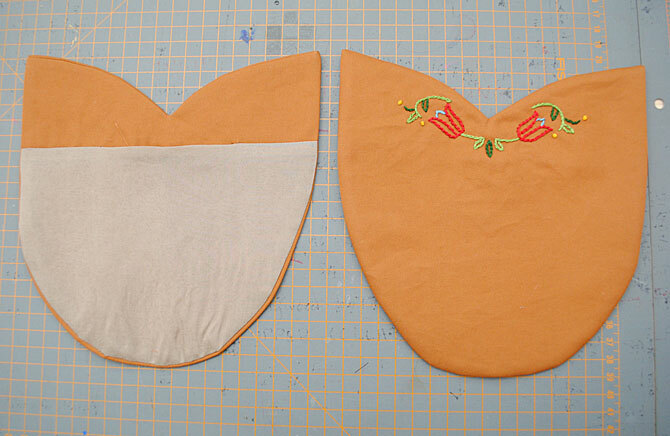 Pin the lining piece to the facing piece, right sides together. Leave at least 3″ open at the very center. This center opening is how you’ll turn the pocket right side out at the end. 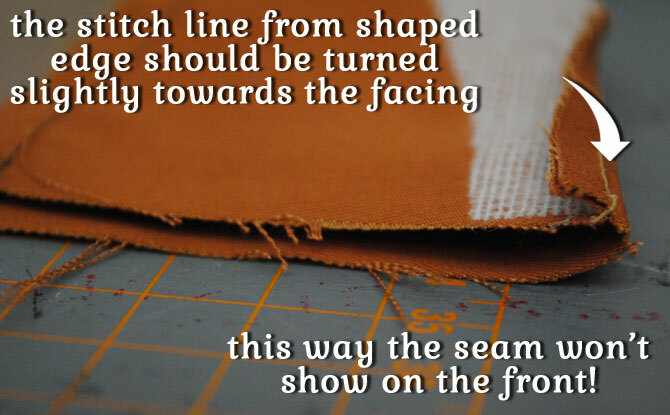 Sew the seam on either side of the opening. 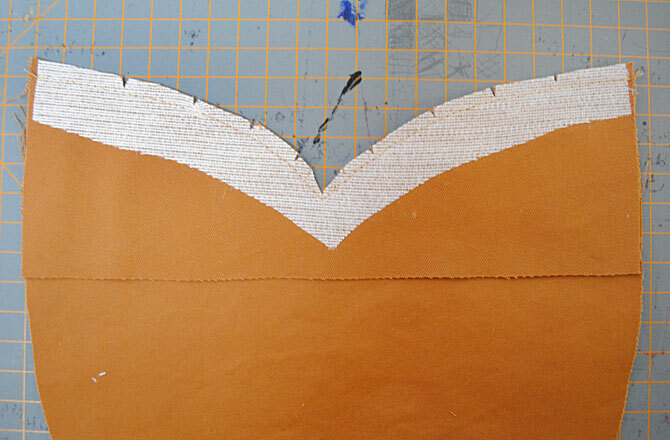 Trim and press the seam towards the lining, including over the opening. It’ll make it easier to close it up at the end. Time to sew the lining/facing side to the pocket side, which will close up the pocket except for that opening. Right sides facing, pin it all together, carefully stretching the lining to get it to fit the pocket. I like to pin the sides of the facing first, then the center bottom of the pocket, and then go up each side, stretching carefully. 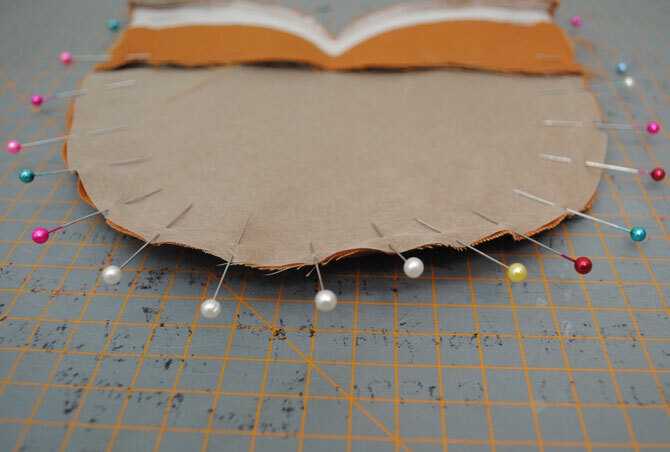 It may take a bit of work, so lots of pins will help keep everything in place. When it doubt, hand baste after you pin! 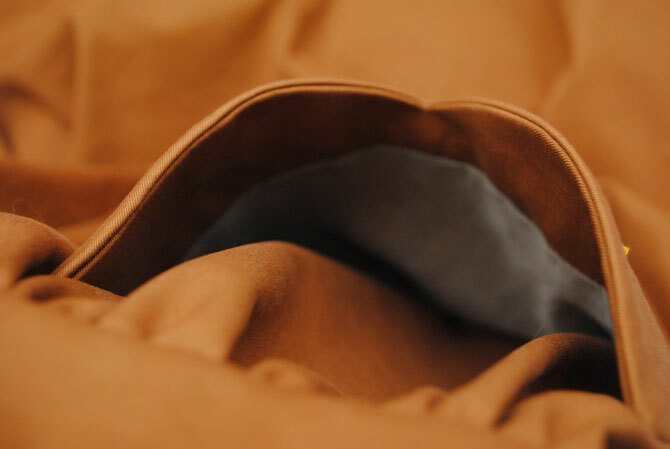 It’s almost impossible to photograph, but at the very upper edge where you sewed the pocket and the facing together along the curved edge, when you’re pinning it, just slightly roll this seam towards the facing side. 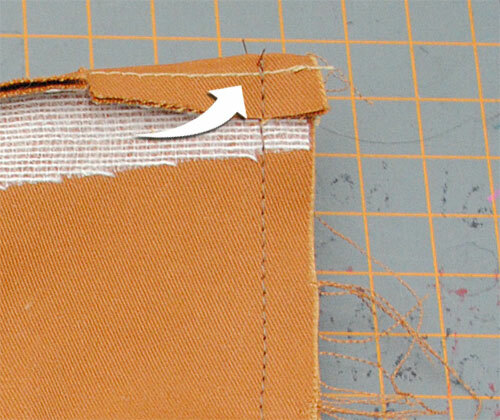 This will make certain that when your pocket is right side out, the seam isn’t peeking out at the upper corners. 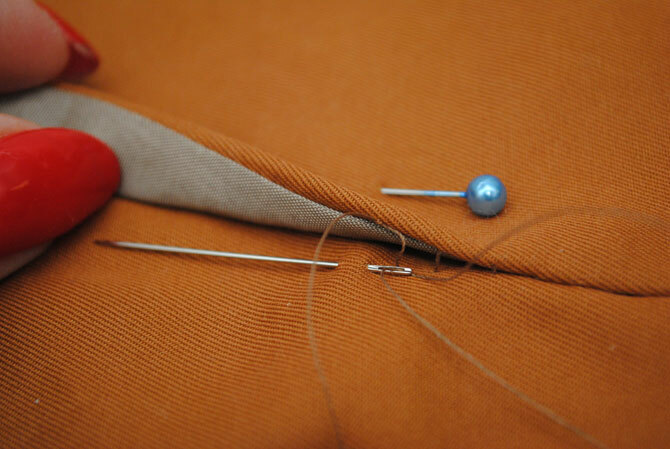 After pinning, your pocket will curl up slightly off the table because the lining side is slightly smaller. Don’t worry, this is exactly what you want to see! 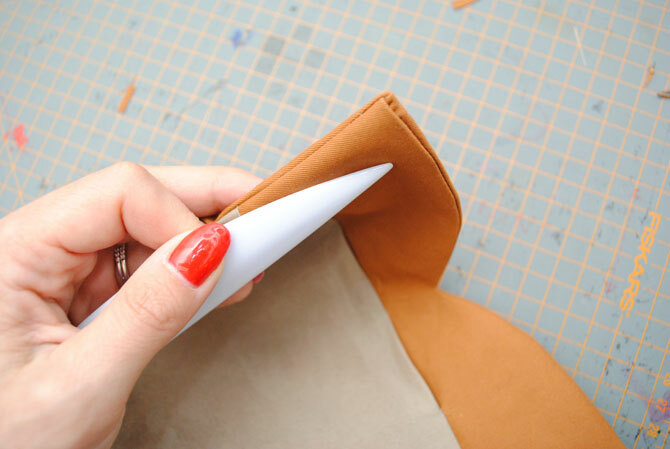 Now, starting at the top edge of your pocket, sew down, around and back up to the other side. Trim your pocket seam allowance, and clip around your curves, either snipping into or taking out little triangles… I snipped this time. Press the lining seam allowance towards the inside of the pocket lining (I don’t bother trimming the lining seam allowance). 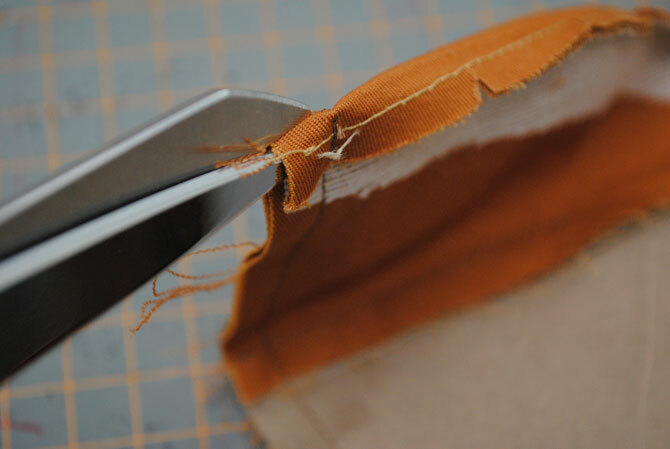 At the very top edge where the facing and pocket meet, clip that seam so that you can press the facing towards the inside of the pocket, too, and trim that seam close to the stitch line for a crisp point. Through the hole that you left open earlier, turn the pocket right side out carefully. Yep, it’ll look like a mess for a little bit. With a finger or two inside the pocket opening, gently poke your curves into position. Because of all your careful prep work, this should actually be pretty easy, unlike other methods where I’ve sometimes been cursing up a storm at this point because my “gentle curve” is more like 6 or 7 little flat lines. That’s in part because your lining is a little smaller, so those seam edges won’t show on the front at all, so everything just naturally rounds itself out in a much more civilized fashion. No cursing necessary. See how the seam favors the back and not the front of the pocket at the top edge? That’s because you rolled that edge towards the facing side when pinning. 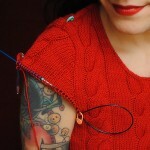 Use a point presser (knitting needles work too) to coax your points into position at the top of the shaped edges. Gently press your pocket to set everything into position. You’ll notice when you do this that the pocket fabric rolls towards the lining side a bit just like I said it would. No peekaboo seams for you! 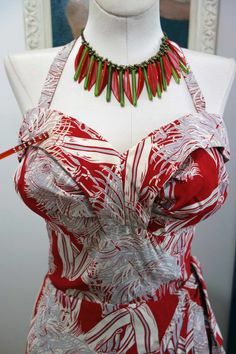 Pretty nifty, especially if you’re planning to use a contrasting lining fabric! 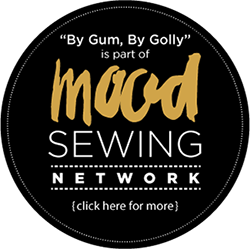 Oh, don’t be an idiot like me: once you’re done admiring your work, close up that hole you left on the inside right now, or you’ll be trying to jam Steam-a-Seam Lite into it when it’s pinned and already halfway sewn onto your garment…enough said. Now you should have a nicely curved, professionally lined and faced patch pocket! Pin your pockets to your garment. Feel free to use topstitching to attach it to your garment if you’d like, or invisibly attach it with slip stitching like I did. Here’s how. 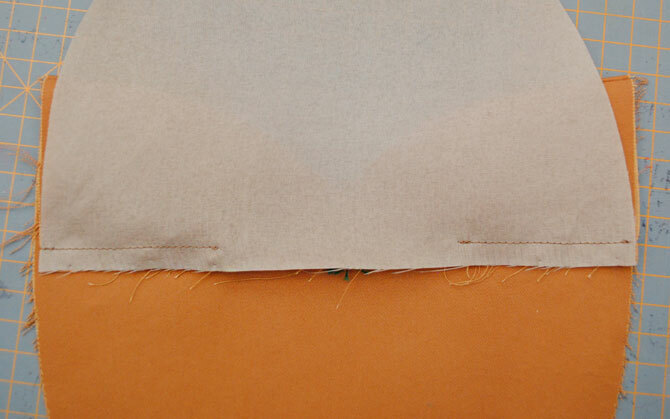 Take a tiny stitch through the garment fabric with your thread and needle. 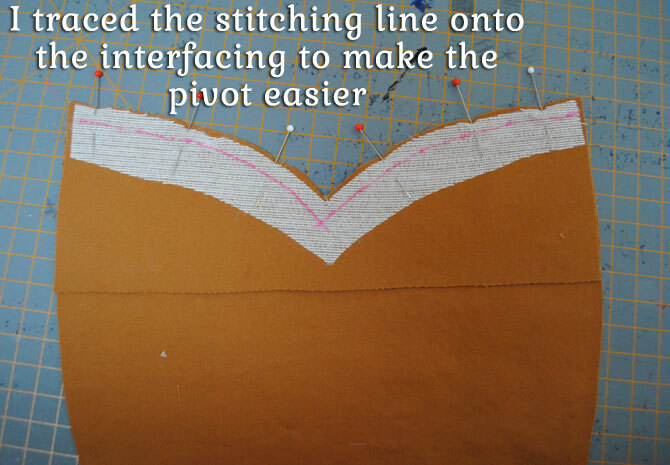 Continuing to keep your stitches juuuust on the inside of the pocket, tack in place a few times at the corner for stability. When you get to the other corner make sure to take a few stitches for security, and knot off. 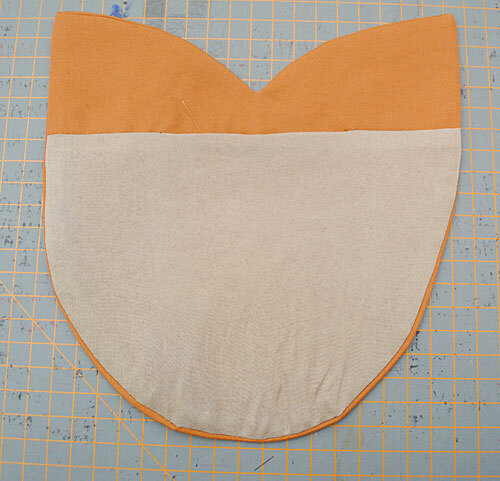 You’re done, and now have a pretty professional looking, adorable pocket on your garment! And when you take a peek inside the pocket, you’ll see the self-facing and your lovely lining. Nifty, huh? Hope you’ve enjoyed this tutorial. 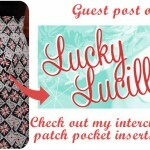 It’s one of many ways to create patch pockets, but it’s a nice method to have in your sewing arsenal, I think! oooooooooh how clever, slip stitched pack pockets! 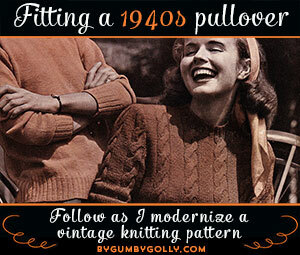 I have always top stitched them, the thought of slip stitching them has never crossed my mind. Until now. Thank you! I’m going to have to add this one to my must do list. I’m short and curvy. Should I shrink down my pocket size as to not add to my hips? And, when did you embroider the pockets? Before you did anything else? On the embroidery– I embroidered the pocket piece before attaching the facing, so the facing covers the back of my stitches. What a great tutorial! 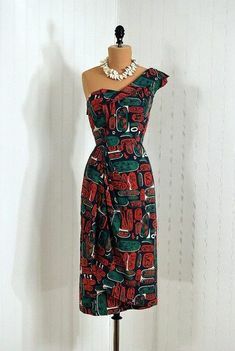 I love adding pockets to skirts and dress. 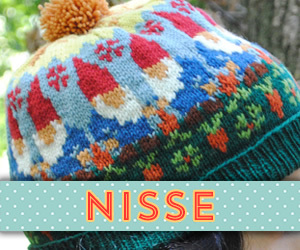 Although I’ve added my to the side seams instead on top. 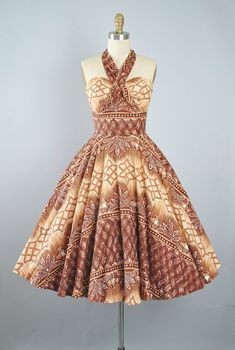 I have a question: where/how do you place the pockets on a skirt? 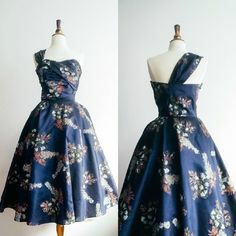 I don’t have any dress/skirt patterns that have pockets on them so I have no idea where to place them. I’m pretty bad at adding things like that free-hand so any tips or advice would be great. Thanks! Gosh, good question! You know, I almost always ignore the dots for pocket placement in skirts and dresses, terrible as that is to admit! 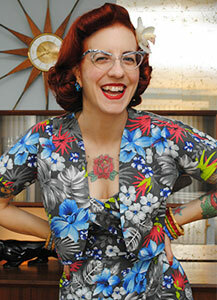 However for a gathered skirt, since there’s no way to judge, I do use the pattern markings. 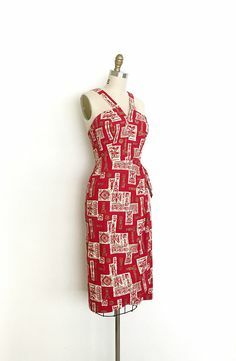 But otherwise, I kind of just eyeball it, with the intention that the pocket starts about 2″ or so away from the side seam, and down 2-3″ from the bottom of the waistband. Somewhere about like that! great tutorial, full of great tips that can be used elsewhere as well! 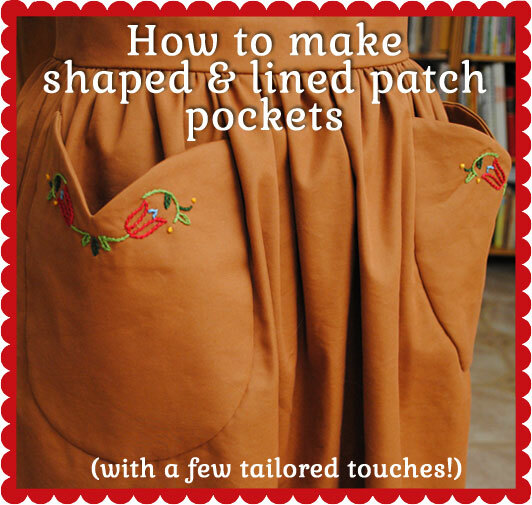 i love the look of patch pockets on gathered skirts, i really like how the stick out a bit, but i’m afraid it wouldn’t be flattering on me. eh, maybe i should just give it a try! Thanks so much for this great tutorial. I am definitely going to give this a try. Great tutorial! 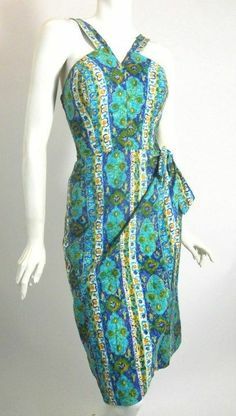 I remember the first time I followed a pattern using a similar technique and thinking I had done something wrong because the lining was smaller. I was beyond pleased when I realized that it was intentional; the results are so much nicer!!! 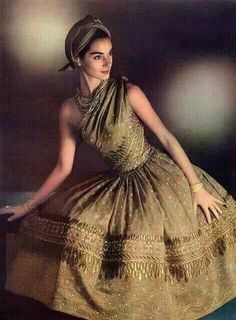 I love your embroidery!! Did you somehow know I was going to be having a go at these this weekend??? 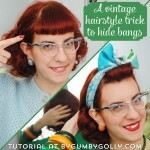 Seriously cool how-to! 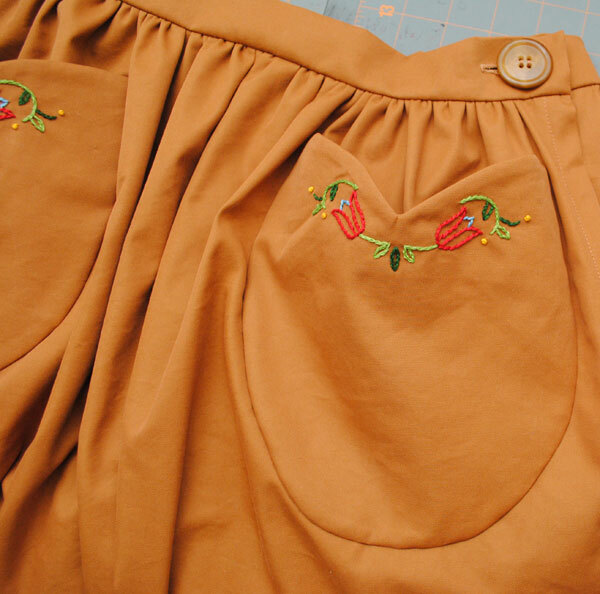 I adore the sweet, charming embroidery that you added to these darling pockets. Amazing! I was wondering how you’d made this, and now I know! I’m definitely using it for my next project!